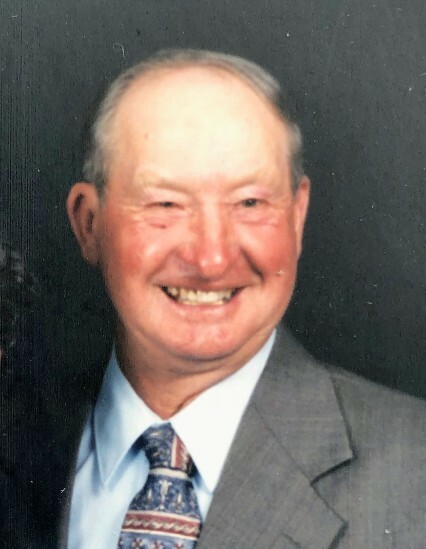 Gene Fidler of Cloverdale passed away on Wednesday, April 3, 2019 at Franciscan Health Hospital in Crawfordsville. Gene was 88 years old. He was born into the home of the late, Verlia and Jacquetta (Jones) Fidler on August 6, 1930 in Quincy. Gene proudly served in the United States Army in Germany from 1953 until 1955. After serving in the military Gene attended classes through Purdue for agriculture. He was a farmer for over 50 years. Gene enjoyed hunting, and fishing and sports, especially basketball. He loved to walk the countryside. He was preceded in death by his parents; sister, Helen DeBoer and brother, Verlian Fidler. Gene is survived by his wife, Yvonne (Shultz) Fidler of Quincy; children, Kristi Hervey (Myron), Kevin Fidler, Kimberly McMains (Dan) and Karen (Matthew) Headley. He also leaves behind ten grandchildren and nine great-grandchildren. Funeral services will be held on Saturday, April 6, 2019 at Millgrove United Methodist Church 11151 Millgrove Road, Quincy, IN 47456 at 2:00 p.m. Burial will follow at Hudson Hill Cemetery. Visitation will be at the church on Saturday from 11:00 a.m. until time of services.